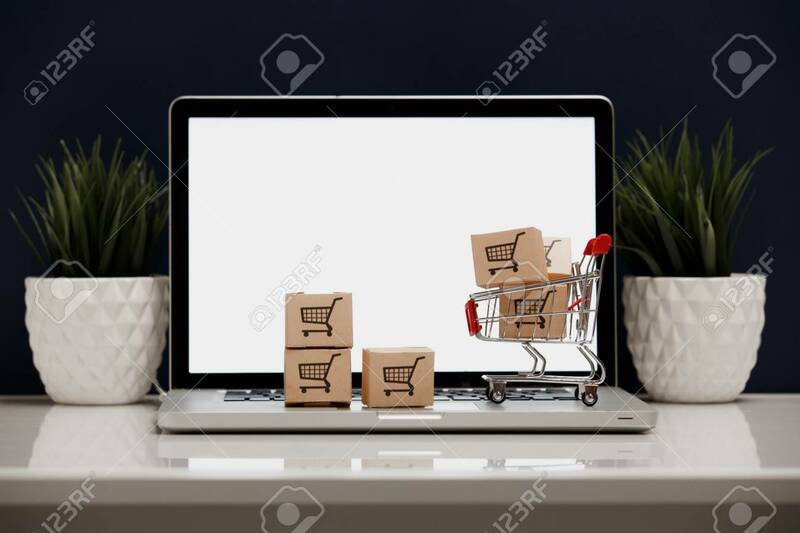 Many Paper Boxes In A Small Shopping Cart On A Laptop Keyboard... Stock Photo, Picture And Royalty Free Image. Image 119192762. Stock Photo - Many paper boxes in a small shopping cart on a laptop keyboard. Concepts about online shopping that consumers can buy things directly from their home or office just using a few clicks via web browser. Many paper boxes in a small shopping cart on a laptop keyboard. Concepts about online shopping that consumers can buy things directly from their home or office just using a few clicks via web browser.